The following table compares all the pay as you go plans that operate on the 4 major wireless network providers, AT&T, Sprint, Verizon and T-Mobile. Whenever possible I tried to list plans that are more than just monthly based, because for the most part, that is what the MVNO tables are generally for. However, as you review the tables, you’ll see that there are still quite a few 30 day plans listed for various reasons. In some instances, it seemed the 30 day plan presented a better value than others. 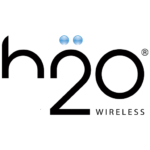 In other cases, no monthly plans are offered, and 90 days is the least amount of time you can buy the pay as you go phone plan for. Need a phone? The Motorola G4 Plus works with nearly every carrier and MVNO listed in the table. ExpoMobile requires you to call in, wait for a human to answer phone in order to refill, not the best customer service. …and refusing to furnish the street address of your credit card (an invitation to identity theft) brings their Asian call center’s refusal to renew ExpoMobile’s service. Invitations to call an unlisted number near Detroit for renewal of a service based near Seattle (formerly Los Angeles) does not not inspire confidence among consumers whose identity has been repeatedly stolen. Underselling other MVNO’s is easy where income is supplemented with Identity Theft. Use ExpoMobile at your peril. I’ve had FutureNine VOIP for years. I can log into their portal and get info on my account, change settings, get the call history, etc. 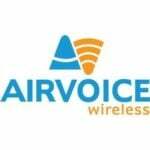 I’ve used the AirVoice cell phone Pay as you Go for years – but they have no portal login, call history, etc. 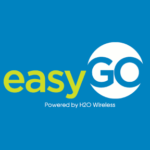 Do you know of any MVNO that has an account login (website) where I can view call history, make payments, etc. I am especially interested in call history. I don’t have an in depth knowledge of every MVNO’s dashboard. Of the ones that I do, Tello seems to offer all that you are asking. Tello shows call and SMS history logs. You can also make payments and change your plan at will. Their cheapest plan is $5/month and includes 100 minutes and unlimited texting. I cannot say for certain, but my best guess is that major brands such as Cricket, MetroPCS, and Boost Mobile MAY have that feature. You can try checking with them. Along these lines, my father lives part time in Costa Rica and part time with us here in Tacoma, WA. We are looking for the least expensive option for him as well. He mostly only texts while he is here. Any thoughts? Thank you! Happy to sign up thru you for either/both of these scenarios, if possible. 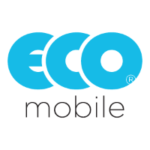 For $10 or less a month you may want to look at Red Pocket Mobile, US Mobile or Tello. Yes I still respond to posts here. Somehow I missed your post. The plans here will be further updated soon to match the rest of the website. Thanks for the tip. I actually dropped coverage of them. Their plans are quite dated, uncompetitive and make me wonder if they’re really in service anymore. 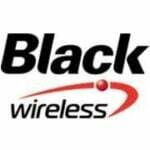 Pix Wireless still offers PayGO. Pix Wireless doesn’t seem to offer PayGo anymore-? Tempo Comm is only 40 mins. for $9.95, not 250, big difference.